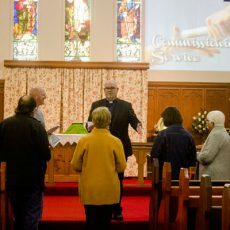 Gloucester Anglican is a friendly welcoming church, made up of real people from a variety of backgrounds who enjoy community centred on Jesus Christ. We’re a mixed bunch – farmers, small business owners, teachers, medical staff, retirees, tree changers, parents and everything in between. We come from a variety of faith backgrounds, so everyone is very welcome. Our Church gatherings aren’t just for Christians, but are open to anyone who wants to investigate the claims of Jesus, the person at the centre of the Christian faith. Everybody will be warmly welcomed, whether you’re looking to join in on our community, if you’re seeking answers for deep questions or if you’re just checking us out. 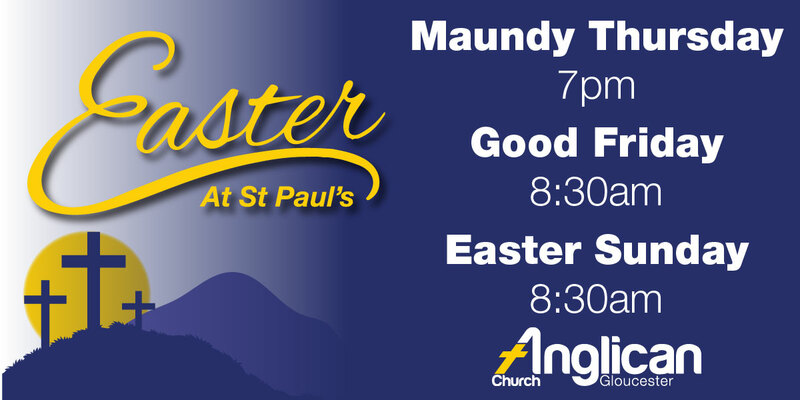 We will welcome you at the door and hand you a weekly bulletin which has information about the service, as well as the week’s news and prayer points. We sing some songs together. Feel free to join in or just listen in – the words will be on the screen. We read and teach God’s word, the Bible. This will consist of a few passages from the Bible will being read and a sermon (Bible talk). There will be a time of prayer (join in or just listen if you like). We share bread and wine* together to remember and celebrate Jesus Christ’s death and resurrection for us (some people call this ‘communion’ and some the ‘eucharist’). As part of this celebration, we share the peace of Christ by standing and shaking everyone’s hand (literally! Sometimes it takes ages for everyone to get around to each other). For the introvert, this may feel bit daunting but you will find that everyone’s friendliness is testimony to the strength of our community. When we wrap up, we share morning tea or lunch together. During the 10:30 service, we run a fun kids program which offers age appropriate Bible teaching and activities. * Most of our services have communion every week. The exception is our new 10:30 contemporary all-age gathering where we will share communion together once per month. At St Paul’s Gloucester we have wheel chair access to Church, the hall, toilets as well as the Minister’s house next door. 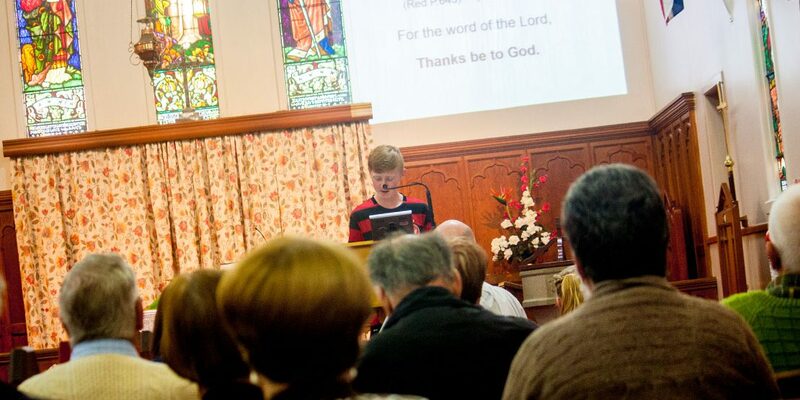 A traditional Anglican service, containing prayer book liturgy, hymns and communion. A contemporary all-age gathering which is a bit more relaxed in feel with contemporary music and discussion time after the talk. We share communion together once per month. 10:30 church is on Facebook and you can find out more about it there. Once a month we hold a week-day communion service which is followed by morning tea. Everyone welcome! 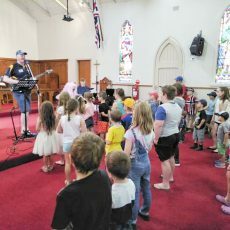 We have an active and vibrant kid’s ministry here at St. Paul’s Gloucester Anglican. Our vision is to see kid’s lives transformed through Jesus Christ to the glory of God. Children are encouraged to know and love the Lord Jesus in a caring and safe environment. All of our teaching is age appropriate and we cater for kids of all ages. Children are welcomed and cared for by trained volunteers. If you would like any further information about any of our kid’s ministries, please don’s hesitate to contact us. Music Time is a fun music group for kids aged 0-5 with their parents or primary care-givers that teaches basic music concepts and skills in a Christian environment. Throughout the session, children develop gross and fine motor skills, language, imagination, mathematical and pre-reading skills as well as socialize with others. Children are introduced to music, creativity and more, plus families are given a chance to think about God in their lives. Cost: gold coin donation a week for each family. Morning tea is included. We love to meet new families Please contact us with any questions that you may have. Thank you for inquiring about baptism (also known as christening) at Gloucester Anglican. We regard it an honour and privilege to play a part in the spiritual life of your family and would love to speak to you about this special occasion. The Thanksgiving service. This service is for people who want to give thanks to God for their child but are not yet ready to take on the promises that a baptism service declares. This service is an opportunity to gather friends and family together and give God thanks for the miracle that your child’s birth has been. This is a short service (about 20mins) but very significant because in it we spend time praying for your child’s wellbeing physically and emotionally but most importantly spiritually. This service can be part of our normal church service or be arranged at another time of your preference. The Baptism service. Children are baptized on the understanding that they will be brought up as faithful members of the church. Those who bring their child to be baptized must declare before the congregation their allegiance to Jesus and commitment to God’s people. This will mean that you already do or are keen to attend church and be involved in the life of one of our congregations. We run a baptism course for parents who are looking to have their children baptised. Please contact Rev. Rob to speak further about which service is right for your family. He loves people in a radical, counter cultural way. He claims to be able to give broken people a fresh start, a new life and a real hope for the future. He claims to be God. He acts consistently with that claim. The many eye witnesses who saw Jesus speak and perform miracles during his life were so impacted by him that they left everything to follow him. That same group were so certain that he appeared to them after rising from the dead that many died for their testimony. They believed, as we do, that it is only through faith in the life, death and resurrection of Jesus Christ that we can have a relationship with God and share eternal life with him. We would love for you to investigate Jesus further. Please consider joining us for church, joining a Christianity Explored course or joining a Growth Group. If you would like to investigate the claim that Jesus is Lord then we would love you to attend our course called ‘Christianity Explored’. We believe there is no such thing as a dumb question! Everyone is welcome, no matter what age, or background or religion. Christianity Explored is an informal & relaxed course. It’s designed to help people explore the big issues we all think about. It looks at the person at the heart of the Christian faith – Jesus Christ. It follows his life and teaching though the Gospel of Mark. If you feel ready to connect at a deeper level straight away, why not join a Growth Group? that God became a man in the person of Jesus Christ. that Jesus was crucified and rose again to bring us forgiveness and new life. that Jesus is gathering people to spend eternity with him. that we should share this ‘good news’ in how we live, that we should share it with our neighbours, family and friends. To find out more, feel free to get in contact with Rob, come along on a Sunday or join us for a Christianity Explored course. A fantastic way to connect with Jesus and with the community at Gloucester Anglican is by joining a Growth Group. Growth Groups meet in people homes for a meal, a time of Bible reading, discussion and prayer. Get in contact to join a group. Once per month, the ladies of the church get together for an afternoon of chit chat. Often they meet at a local cafe or a park. It’s a very relaxed time and a great way to connect with our community and get to know people. On the first Thursday evening of each month, we hold a community men’s dinner. This has been running for over 30 years and is a valuable part of our community. The $20 includes a sit-down dinner, a beer, entry to the lucky door prize and an interesting talk from somebody in the community. First Thursday of the month, 6:30 pm. For more info, contact us. The St Paul’s Op Shop is a happening place. There’s always a constant flow (sometimes a flood!) of donated goods arriving on our veranda which are then dispersed to the community both at our own Op Shop and other community groups who are in need. The Op Shop is run and staffed completely by volunteers and is a vibrant community of people who have a wonderful time together. Getting involved is a great way to serve the community and make new friends. There are a range of different roles, from sorting to pricing to selling to handy-man trade jobs. We can find a spot for anyone! 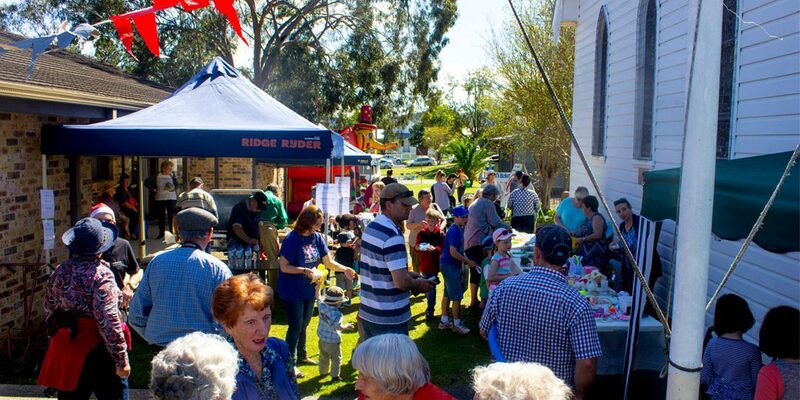 Formerly known as the Parish guild, Friend’s of St Paul’s is a group of people who take care of the organisation for all of our events. They cater many events through the year, including community lunches, funerals and parties and have a great time together doing it. Gloucester is a happening town and our church members are very active in numerous community groups. 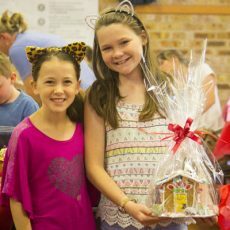 Whether it be the local sports clubs, Men’s shed, breast cancer support group, prostate support group, drug abuse action group, hospital activities centre or winter soup kitchen, there are many ways to get involved in serving the local community. If you’re new to town or have been here for a while and would like to know how you can get involved and make new friends, get in contact and we can give you some suggestions of how to serve. 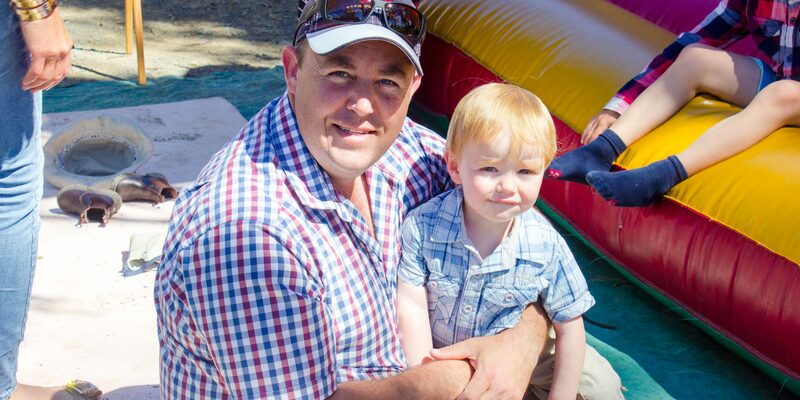 Rob Llewellyn is the minister at Gloucester Anglican. He loves roasting coffee, sports and Jesus Christ. He met his wife Laura in the Sydney Youth orchestra and after careers as professional classical musicians and having 3 beautiful children (who are now 8, 10 and 13) now have the privilege of introducing people in Gloucester to Jesus full time. Rob completed a ministry apprenticeship with the AFES group at the Sydney Conservatorium of Music and theological studied at Moore Theological College. 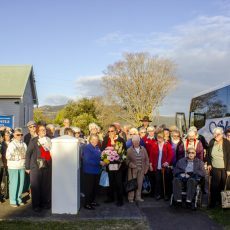 20 years worth of Mystery Bus Trips came to an end in style with Dorothy’s final trip to Newcastle. Over 20 years Dorothy and late husband John have organised 40 trips, beginning with the Sydney Olympics and covering many terrific places. A very special morning when we commissioned our new Ministry Team to oversee the ministries of our church. Copyright © 2019 Gloucester Anglican. Powered by WordPress. Theme: Ample by ThemeGrill.